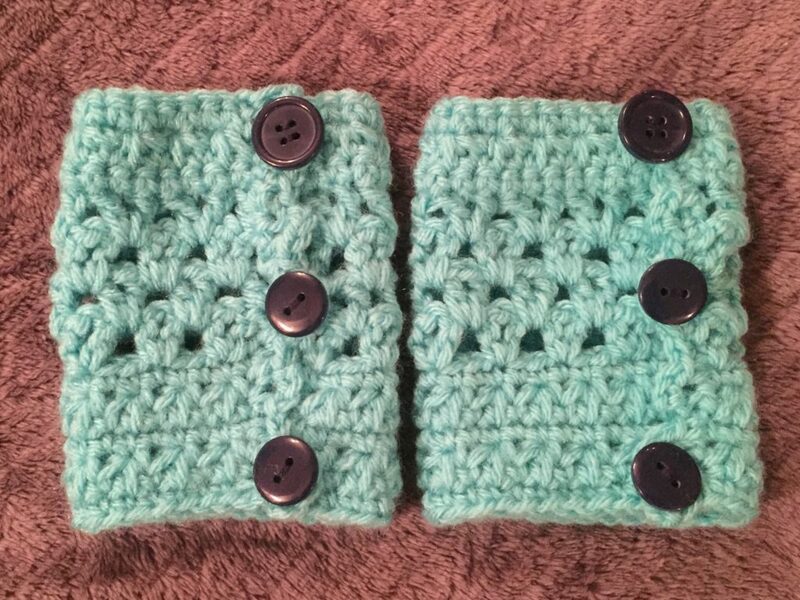 I received a Christmas order for a girl’s boot cuffs. Her tiny little ankles are so small that I made them with buttons instead of slip-on since I was worried they wouldn’t stretch properly over her feet. 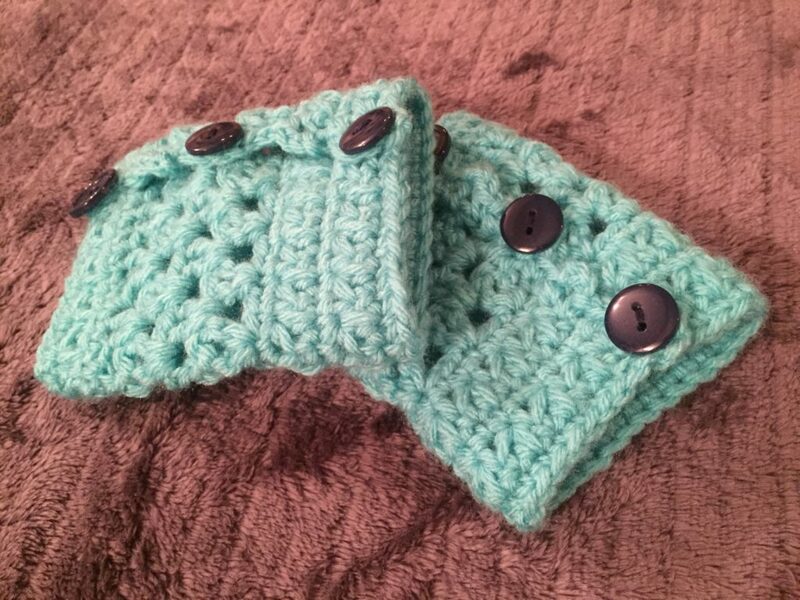 I had never made boot cuffs from any other color than the basics so the request for a light teal was different. I didn’t expect them to turn out as cute as they did! I am sharing this pattern that I designed for a 7 year old. 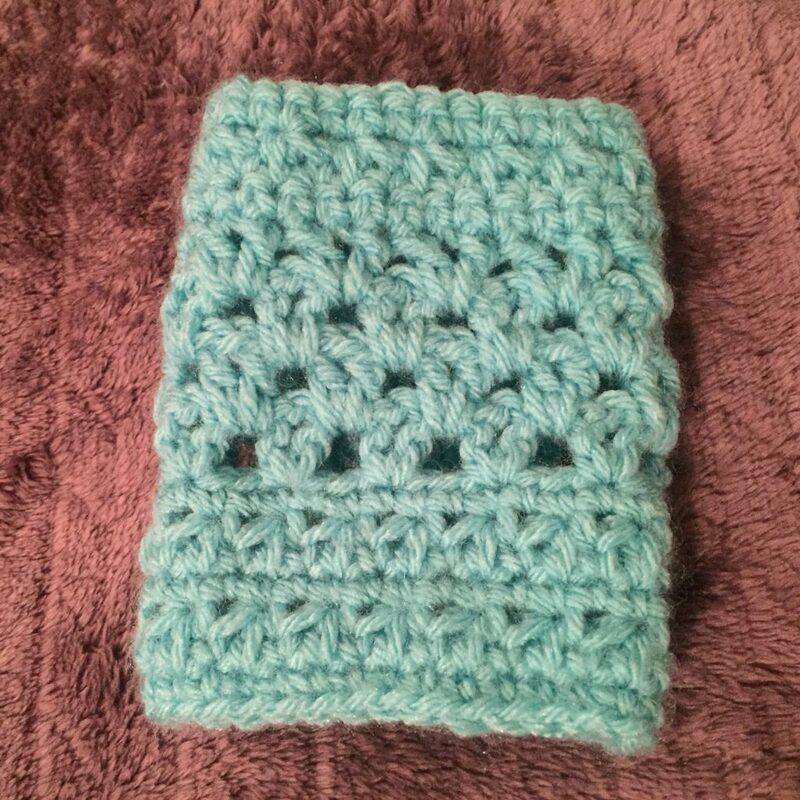 I made up the pattern as I went along so let me know if you have any questions. Size: Child Ankle: 7” before stretch. Measure just above boot for circumference. Subtract .5” for width of cuff. mss – modified star stitch – I like the moogly tutorial, but I ended up only adding one stitch to the side of the previous star stitch instead of 3. This one stitch is the same as the 2nd she makes on the video (I just skipped the 1st and 3rd completely). Hopefully I’ll make a video for that one day. If you know what this modified version is called (if it exists), let me know! Buttons: I attached 3 buttons on each cuff, but you could attach up to 5 with the amount of button holes. I am thrilled to offer you the PDF version of this pattern or you can save it to your Ravelry favorites! 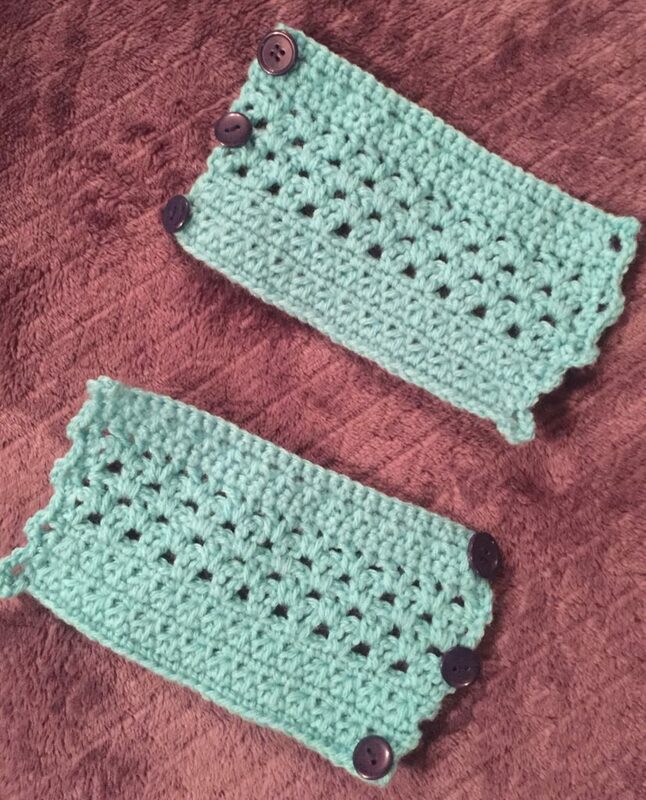 You may link in this way: Gianna’s Ankle Boot Cuffs Crochet Pattern by Hannah at brightsideis.com.